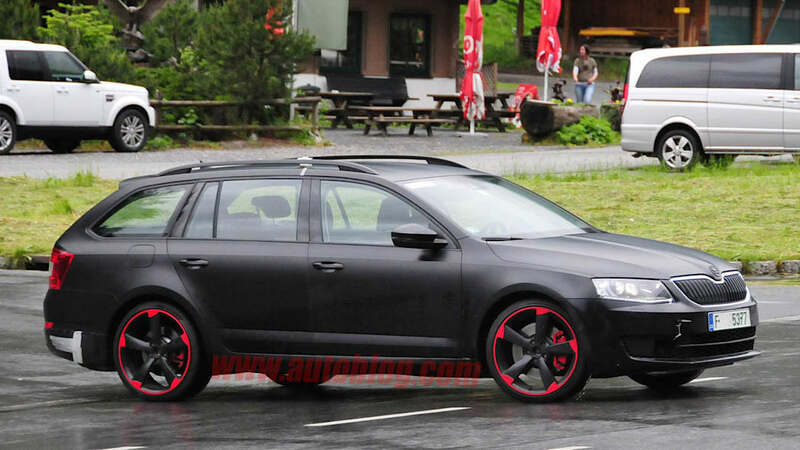 American buyers in the market for a hot hatch from the Volkswagen Group can choose between the GTI or the Golf R, but our compatriots overseas have more options at their disposal, all based on the same platform. 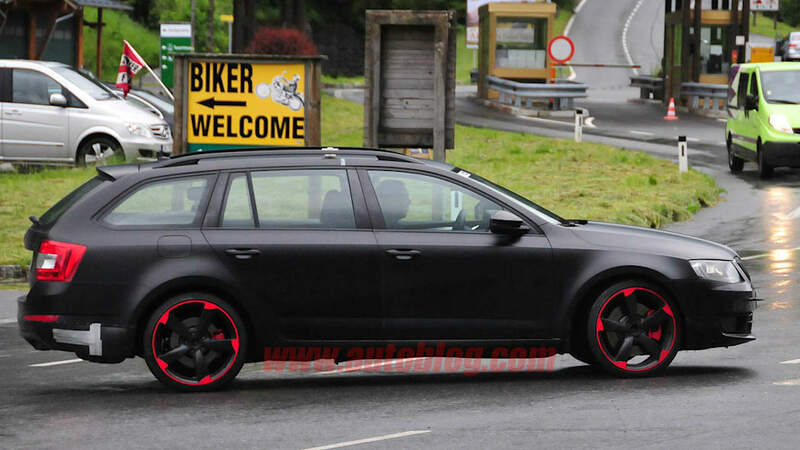 They can go for more Latin flavor in the Seat Leon Cupra (available in two states of tune) or for the more low-key Škoda Octavia RS. 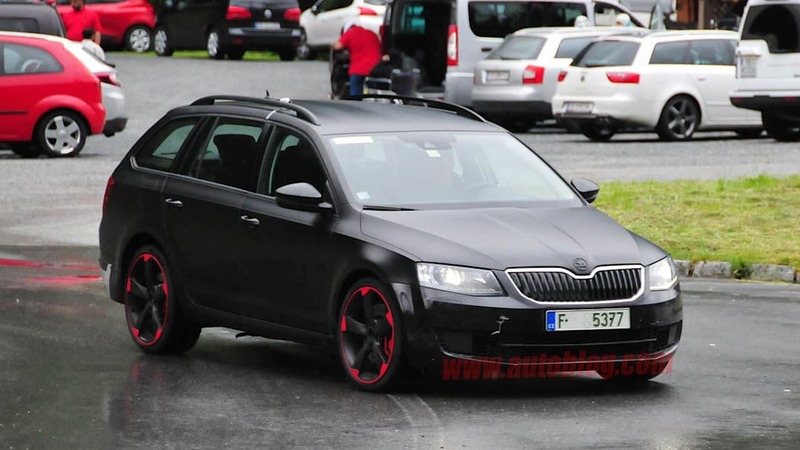 But soon, it seems, they'll have another choice on their hands in the form of an even more potent Octavia. 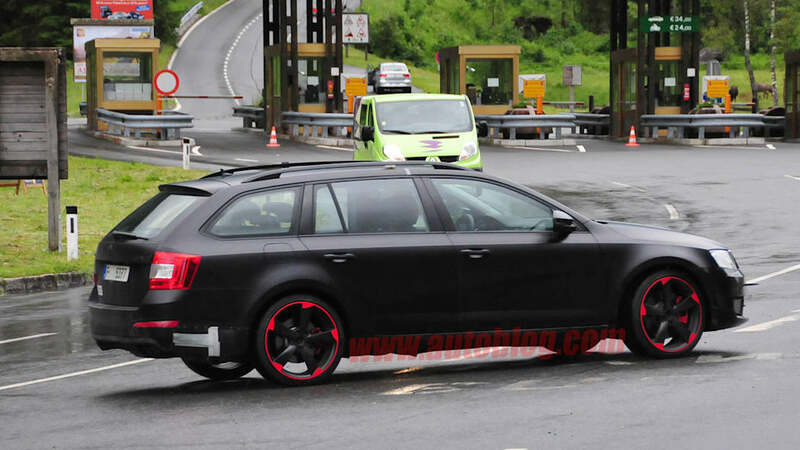 Spied undergoing testing in Europe with minimal camouflage, this hotter version of the Octavia RS wagon is tipped to be packing the more potent 2.0-liter turbo four with 276 horsepower (280 by the metric system) from the Seat Leon Cupra 280 that topped the Nürburgring leaderboards for front-drivers before Renault knocked it off its perch. 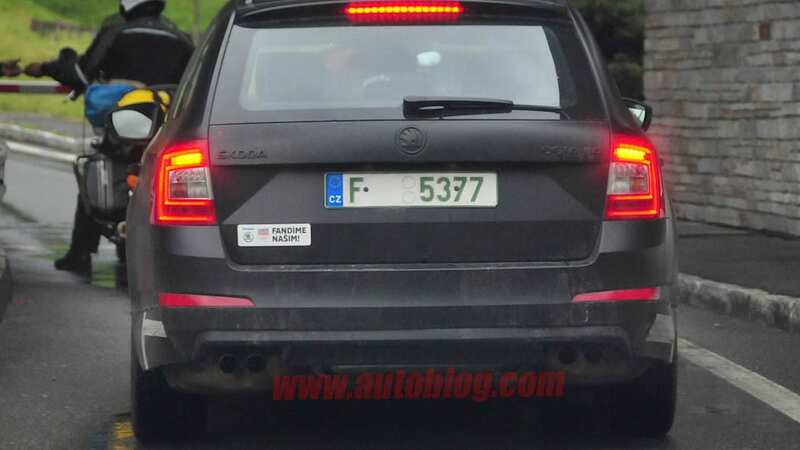 That'd make it significantly more powerful than the existing Octavia RS into which Škoda packs the same engine with 217 hp (or alternatively the diesel version with 181 hp and 280 pound-feet of torque) – skipping the intermediate steps in a similar approach to that which Jaguar took to make the XFR-S Sportbrake. 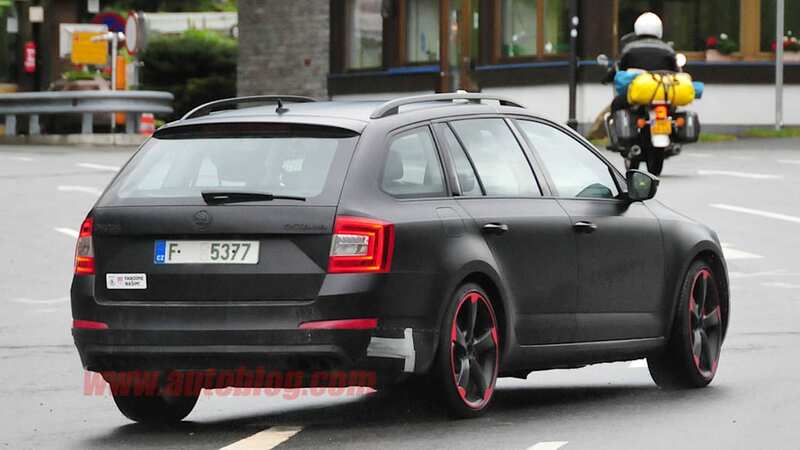 To go with the extra power, the hot Czech wagon appears to be riding on a beefed-up suspension with the wheels from the Audi TT RS, along with more aggressive aero and quad exhaust tips, not to mention a sinister matte black treatment with blacked-out brightwork. 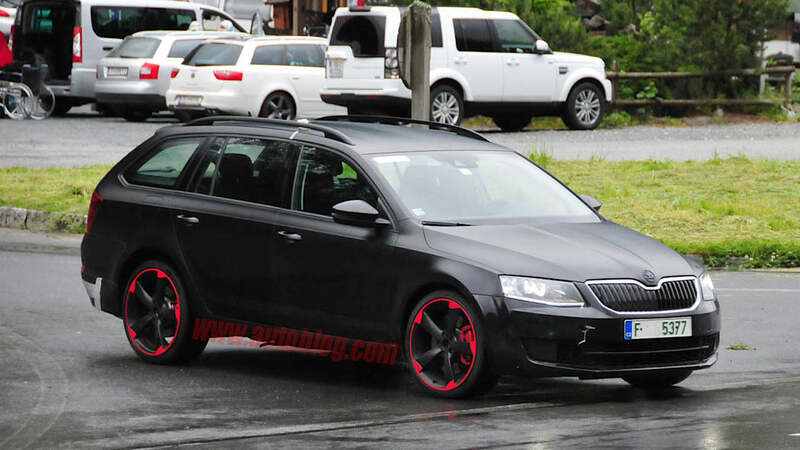 Expected to debut sometime next year, the Octavia RS280 (or RS+) would offer an even more compelling sleeper package that we only wish we could get our hands on Stateside.